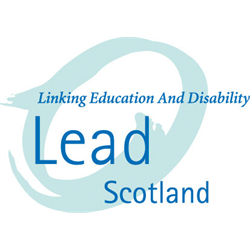 Lead (Linking Education and Disability) Scotland lead.org.uk is a voluntary organisation that exists to widen access to learning for disabled young people and adults and carers across Scotland. We seek a part-time Learning Coordinator to deliver informal, non-formal and formal learning programmes in the Moray region to individuals and small groups of disabled people and carers and to small groups of practitioners. 1) Empowering and supporting disabled people and carers to overcome barriers and embark on personalised learning journeys, making positive, sustained transitions into their chosen progression routes. 2) Being an active part of the Lead Scotland team as we develop new, exciting learning opportunities in the north and east of Scotland for 2018 to 2020. 1) Delivering defined learning programmes to around 20 disabled people and carers and 5 practitioners per year (project total 220 participants). You will deliver our accredited CALA qualification, the AAA qualification, our Thinking Digitally qualification and other courses as defined by learners. 2) Working alongside and supporting volunteers in delivering learning. Experience of managing volunteers would be an advantage, as would a track record of experience in community learning and adult guidance and support. This post will suit those who are passionate about the transformative power of adult learning, who have excellent communication skills and a flexible and creative approach to problem-solving. You must be enthusiastic with good organisational skills and have previous experience of supporting disabled people experiencing a range of barriers, of working one-to-one with learners, and of designing and delivering learning programmes. A full driving licence and access to a car is essential. You will hold an Assessors Award, or be willing to work towards this. This post is home-based in Moray. The work will involve some visits to learner’s homes and involves regulated work for which a PVG will be required. We seek a full-time Learning Coordinator to deliver informal, non-formal and formal learning programmes in the Highland region to individuals and small groups of disabled people and carers and to small groups of practitioners. 1) Delivering defined learning including our accredited CALA qualification, the AAA qualification, our Thinking Digitally qualification and other courses as defined by learners. This post is home-based in Highland. The work will involve some visits to learner’s homes and involves regulated work for which a PVG will be required. Recruitment paperwork is kept for 6 months before it is destroyed.